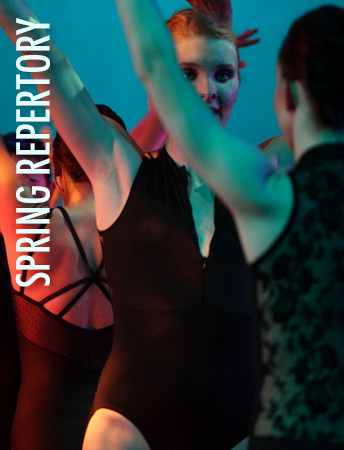 Each of the three ballets of Repertory II features a distinctive music genre. The first on the program is La Luce d’Amore (2006), choreographed by Artistic Director W. Earle Smith. Second on the program is George Balanchine’s own Who Cares? Finally, Artistic Director W. Earle Smith premieres a new ballet, Groovy, choreographed to the music that defined the 1960’s in America. From “Tambourine Man” to “Red Rubber Ball” and “Devil With A Blue Dress,” Groovy rounds out a program that will entertain long-time dance fans and new audience members alike. As a special treat, Madison Ballet’s company of dancers will be joined in Who Cares? by guest dancer Charles Askegard, former principal with the New York City Ballet.